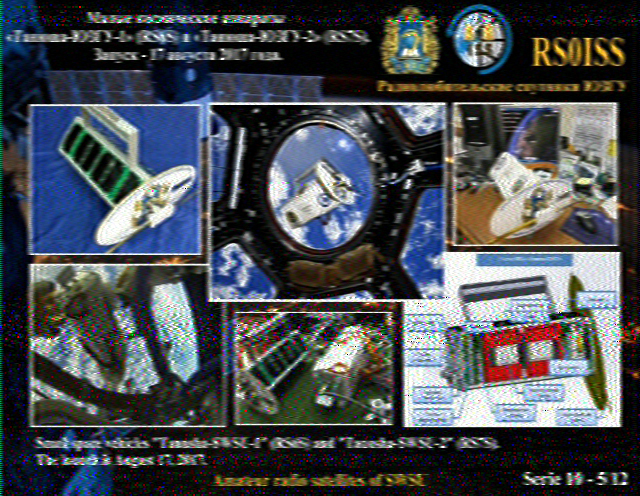 ISS RXed by KC0TJ early Sunday! I was scanning on a big VHF band opening early Sunday and I jumped out of my half a sleep slumber when some strange tones came from my radio. I realized this was SSTV signal (Wow!) I haven’t heard that on radio for a long time. I went to check the freq and it was 145.800? I had thought it might be from out of space? I also went to turn on my other radio to see if I could decode this message. When I was more alert I quickly turned on my MMSSTV program and the sound was set to the wrong radio. (Crap!) I changed that when I was getting nothing on my PC and half the picture was already done. (Crap!) I saw mode was pd140 and then picture stopped. I had no cw ID or other encrypted info. (Crap!) I then try screen copied the partial image in hopes to figure out what I had. Then it started again and I was ready for it all. I had to keep adjusting my squelch to RX. I went to my cell phone app to find the ISS and it was already starting over Lake Superior. I also tried to Googled what frequencies they used and mode and everything was checked to what I had everything set to. I realized afterwards that I left my antenna aimed North East and it was an extra bonus to get the whole picture see below. This was also one of the ones used by them per the website link below, and I did log it on that website.